Krisara Engineering was formed in 2011 by two North Dakota State University faculty members, Dr. Dan Ewert and Dr. Ben Braaten. 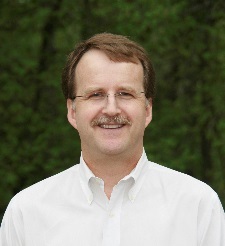 In 2012, Dave Jorgenson joined Krisara Engineering after 22 years at a major medical device company. Krisara Engineering offices are located in Fargo, ND. Mr. Jo rgenson is the CEO of Krisara Engineering. Mr. Jorgenson has, in the past, worked for the largest medical technology company for twenty two years. In that capacity he led projects that brought many successful cardiac surgery products to the marketplace. These include a machine that pumps the patient’s blood during open heart surgery. Another that measures the patient’s oxygen saturation and hematocrit in real time as part of a heart lung machine. This project was so successful it is still in production roughly twenty years after release. Mr. Jorgenson has also led many effective pacemaker and defibrillator projects. For example, Mr. Jorgenson led an effective project with 35 engineers for two years and ten of the engineers were located overseas. In addition to his project management experience Mr. Jorgenson holds 7 patents with 3 others pending. Mr. Jorgenson has been a volunteer member of the National Ski Patrol (Outdoor emergency care and rescue services) for 30 years where he was an instructor in emergency care including teaching how to measure patient’s BP. Mr. Jorgenson has obtained his Examination of Special Competency in Cardiac Pacing and Cardioversion Defibrillation for Non-Physicians. This is an international certification in the science of pacemakers and defibrillators from the International Board of Heart Rhythm Examiners. He has defined hardware and software algorithms and development and test processes for medical devices. Mr. Jorgenson has created regulatory packages required for FDA approval as well as CE Mark certification. Mr. Jorgenson has also conducted electromagnetic interference testing on medical devices using international testing standards. He has also led projects where very difficult problems were solved. In one case a medical device software error occurred only 1-2 times per year in a very complicated large software system. Mr. Jorgenson led the team that analyzed the problem, documented the errors, evaluated options with different experts, built effective test systems and eventually solved the problem and implemented a solution. Dr. Ew ert is a co-founder of Krisara Engineering. Dr. Ewert has 20+ years of experience in cardiovascular engineering, 37 publications in cardiovascular-related research, and two patents. He is a former Chair of the Electrical and Computer Engineering department at North Dakota State University for nine years prior to returning to a full-time professor to focus on research activities. 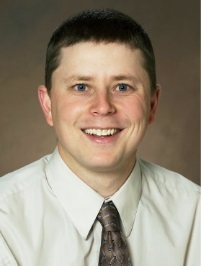 Dr. Ewert has consulted for Medtronic, St Jude Medical and the University of Louisville. He has performed research with NASA, US Air Force, Russian Space Agency, and Birmingham Children’s Hospital in England. Dr. Ewert has taught university-level courses in cardiovascular engineering, instrumentation, entrepreneurship, electronics, engineering design and biomedical engineering. He has project-specific expertise in instrumentation and analog design and has published journal papers related to BP measurement. 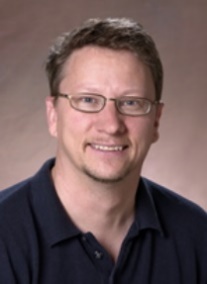 Dr. Ewert is involved with blood pressure algorithm refinement and robustness, also involved with the sensor component selection and the mechanical attributes of the sensor, also the actuator design and test.